The principal objective of the Second Colombian Assembly on tropical diseases was to coordinate efforts to create new prevention and control strategies for leishmaniasis and Chagas disease. The assembly, which was organized by the Center for Research into Tropical Parasitology at the Universidad de los Andes and the Program for the Study and Control of Tropical Diseases (PECET for its acronym in Spanish) belonging to the Universidad de Antioquia, brought together academic representatives, the health care authorities, and members of the industry. Felipe Guhl, director of the Center for Research into Microbiology and Tropical Parasitology (CIMPAT for its acronym in Spanish) believes that coordinating different authorities is key to reducing the burden of these two diseases in the country and contributing to the definition of guidelines for their future diagnosis and treatment. It is for this reason that all the research centers specializing in Chagas disease and leishmaniasis were brought together with representatives from the Ministry of Health and the National Institute of Health. The Second Colombian Assembly on Leishmaniasis and Chagas disease was held in Bogotá; it sought to generate discussion forums and lessons on these diseases in Colombia as well as to share the most recent research developments. In addition to a packed schedule of expert conferences, over the course of three days, close to fifty research projects were shared through posters and oral presentations. International NGOs also understood the importance of the event, and they are actively collaborating to reduce the instances of these diseases in Latin America. The Mundo Sano foundation from Argentina has, for example, donated medicines for pregnant women who have been diagnosed with Chagas disease as this illness can also be transmitted congenitally. The NGO Drugs for Neglected Diseases initiative (DNDi) also united its efforts to develop new much more efficient medications to treat these diseases. 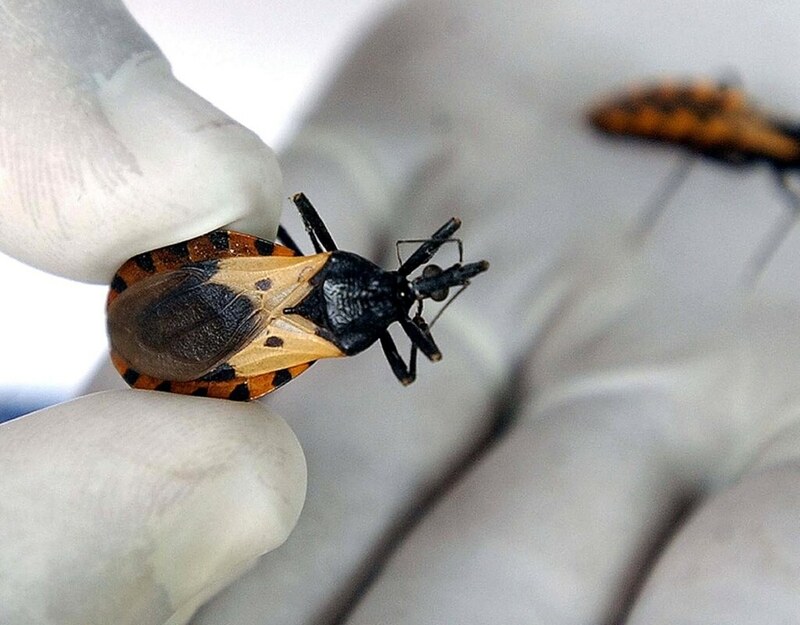 The director of CIMPAT at the Universidad de los Andes said that, “We are at a bottleneck; the medication that we have for Chagas disease has been on the market for more than 65 years. No new molecules have been made and the medication we currently have has adverse side effects”. Chagas disease, which is transmitted by an insect (colloquially known as the pito) bite, is worrying due to its high mortality rate in Colombia when the pathology is fully developed. It is considered to be a chronic, silent, and delayed disease. More than ten years can elapse before the patient shows signs of having the disease. Researcher Felipe Guhl explains, “It is estimated that, in the country, there are around six-hundred thousand people who are infected with the parasite. From this universe, only 30% of people develop the pathology; the problem is that it is currently impossible to determine who will, and, therefore, it is necessary to treat all people infected to avoid the disease developing”. It is for this reason that different research centers are working to find biomarkers that allow the people who will end up developing the disease to be identified. Although leishmaniasis is not itself fatal, the whole body becomes covered in sores. This can turn into a very socially debilitating disease that causes disfigurement and disablement. According to the most recent publication on leishmaniasis from the Ministry of Health and the Federico Lleras Acosta Dermatological Center Teaching Hospital, there are more than ten thousand new cases annually in Colombia and some two million worldwide. Treatment is prolonged, expensive, and hazardous pharmaceuticals are required. These two tropical diseases are seen to be ´overlooked´ by the World Health Organization (WHO); that is, they have not received sufficient attention from governments and health care institutions and they have been not been given sufficient priority from a public health perspective. They often mostly affect remote rural areas or marginalized suburban areas in hot and humid climates. At the end of July 2017, Bogotá will host the Global Chagas Disease Coalition, which is headed by DNDi. Developments that were presented during the Second Colombian Assembly on Leishmaniasis and Chagas disease will be presented at this Coalition in order to coordinate efforts and work on the construction of a platform to monitor patients in endemic areas. According to professor Guhl, the purpose of this initiative is to be able to provide the patient with comprehensive care, giving appropriate treatment and adequate training for personnel who will monitor the cases. It is expected that a pilot program will be launched in Casanare, which will then be applied to other areas of the country. The Coalition will bring together representatives from different research groups, NGOs, and the industry from twenty Latin American countries that are trying to contribute by accessing, diagnosing, and treating patients who have this ´forgotten´ disease.